Barton-on-Humber-based Wren Kitchens has been awarded the Made In Britain marque in recognition of its commitment to manufacturing excellence. MD Mark Pullan said: “We are very proud of our British manufacturing heritage. All our kitchens are designed, developed and built in the UK to the highest standards. We are committed to manufacturing affordable luxury kitchens here in Britain and this makes us unique in the kitchen market. We have created thousands of jobs in the UK and are delighted to have so many passionate, dedicated and exceptionally talented people working within the Wren family. We are happy to be joining like-minded businesses at Made In Britain and look forward to being part a strong brand that promotes British manufacturing”. 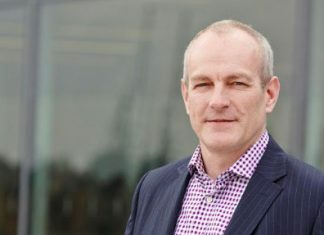 John Pearce, chief executive of Made In Britain, said: “Wren is an outstanding example of a high-quality manufacturing business flying the flag for British-made products. Its impressive journey to being the country’s leading kitchen retailer in just ten years is testament to the management team’s ambition and vision. It’s great to see that its sights are set firmly on continued future growth, despite the economic challenges a lot of sectors are currently facing. Wren makes all its kitchens at three state-of-the-art factories in Yorkshire and Lincolnshire, using the latest production technologies. Around two thousand kitchens a week are delivered fully built, including all doors, drawers, wirework and baskets, and Wren has supplied kitchens worth over £1 billion in the last three years. The company is this year celebrating its tenth anniversary and, from a standing start, has grown to have 77 showrooms nationwide and plans to open 18 more this year. Wren employs nearly 4,300 staff and owns its complete supply chain, delivering kitchens from its factories in its own fleet of lorries, passing on the savings to customers and offering unbeatable value. Wren prides itself on exceptional quality standards and customer service. It is theonly company to have been awarded FIRA Gold for both product and installation by the Furniture Industry Research Association and only works with professional installers who share its values and commitment to its customers.